Salesforce has stepped up its Marketing Cloud game once again, acquiring AI-powered data analytics player, Datorama, in a deal estimated to be worth upwards of US$800 million. Announced in a blog post by Datorama’s CEO and co-founder, Ran Sarig, said the deal will enhance Salesforce’s Marketing Cloud offering with expanded data integration, intelligence and analytics, further enabling platform users to better access data insights from across the marketing and customer technology systems. Financial terms were not officially disclosed, although Israeli news site, CTech by Calcalist, has cited the price tag as more than US$800 million, according to sources close to the deal. “Salesforce’s acquisition of Datorama will enhance Salesforce’s Marketing Cloud with expanded data integration, intelligence and analytics, enabling marketers to unlock insights across Salesforce data and the myriad technologies used in today’s marketing and consumer engagement ecosystem,” Sarig stated in the blog post. Datorama offers artificial intelligence-based marketing intelligence and analytics software designed to help marketers unite marketing data across campaigns and channels. Its product set now covers three key offerings: A data integration engine, insights engine, and activation engine. Its 3000 global customers include PepsiCo, Ticketmaster, Trivago, Unilever, Pernod Ricard and Foursquare. Datorama was established in 2012 in Israel and now has 16 offices globally include one in Melbourne, Australia. Since launching, the company has raised US$50 million in funding, the most recent Series C round occurring in 2016 and pulling in $32 million. Salesforce’s acquisition of Datorama is just one more in a string of hefty acquisitions the CRM giant has made to shore up its enterprise Marketing Cloud platform position. 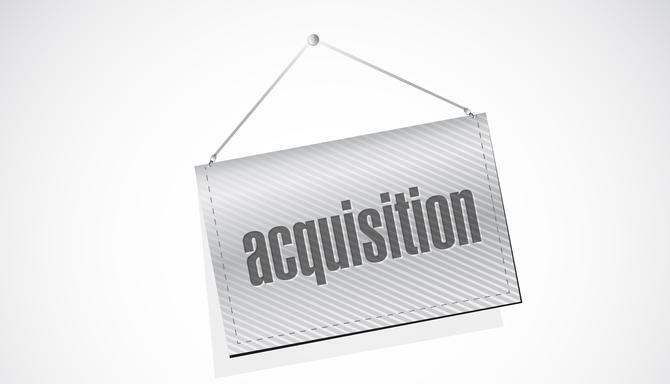 Other notable acquisitions specifically in the martech sphere include ExactTarget in 2013 for a whopping US$2.5 billion; social media management players, Buddy Media, for US$689 million in 2012, and Radian 6 in 2011 for about US$275 million; and data management platform vendor, Krux, for US$700 million in 2016. Salesforce has also made a number of acquisitions to support its wider customer technology platform and commerce play, including application management vendor, MuleSoft, this year for US$6.5 billion. Several in the industry suggest the Datorama purchase is a complement to MuleSoft and another move aimed at ensuring data integration across all many of enterprise technologies. On the commerce front, Salesforce has also been aggressively acquiring capability in recent years. Purchases on this front include B2C ecommerce platform, Demandware, in 2016 for an estimated US$2.8 billion (now Commerce Cloud); and B2B commerce player, CloudCraze, in May this year. Commenting on the deal, Punt-IT principal, Charles King, told CMO the Salesforce/Datorama deal looks pretty straightforward at first glance. "For a relatively modest sum, Salesforce is gaining a successful young player in AI whose marketing and business analytics solutions have attracted major league customers, including Foursquare, PepsiCo, Ticketmaster and Unilever. In other words, not only will Datorama help Salesforce compete more effectively against marketing analytics competitors, like Oracle and Adobe but it also brings significant corporate clients along for the ride," he said. Meanwhile principal of Raab & Associates and founder of the CDP Institute, David Raab, saw the deal as recognition by Salesforce that it needs a real database, not just the data sharing provided by Mulesoft. "It is an exact validation of the customer data platform proposition – that you need a persistent database," he said. "Datorama is a good fit because the company doesn't do campaigns or decisions, which would conflict with other Salesforce products." Raab said he was also "amused" to see the deal shortly after Salesforce Marketing Cloud CEO, Bob Stutz, called CDPs a “passing fad” in a recent interview with Adexchanger and said Salesforce already had all the pieces. Forrester VP and research director, Michael Barnes, described the acquisition as Salesforce strengthening data capabilities to enable more intelligent and better targeted marketing and customer engagement. "This is another salvo in the ongoing arms race between Salesforce and other major marketing cloud providers - Adobe and Oracle in particular. This move is less about filling a specific hole than augmenting existing capabilities," he said. "Datorama gives Salesforce the analytics capabilities to better engage digitally enabled, increasingly empowered - and demanding - customers, whose expectations will continue to grow. Firms can never have enough actionable insight about their customers, and expect these capabilities from their marketing cloud platforms." Another element of the deal that struck King was Datorama's reported solutions and services integration with Amazon's Alexa voice-based activation devices. "Given that Salesforce is a marquee software provider for Alexa, the two companies' common interest in Alexa could have played a role in the deal and may have implications for their future plans and efforts," King added. Salesforce has not commented specifically on the Datorama purchase outside of the blog post. The deal is expected to close by end of Salesforce’s fiscal year 2019 on 31 October.